Like many families we have a lot of food traditions. Often times that can be comforting. . .but sometimes it is stifling! When I was younger I didn’t ever want to stray from the traditions I was used to. Years ago I even fought tooth and nail when my mom changed christmas dinner to christmas brunch. The nerve! These days I’d rather change it up. It gets so boring to cook and eat the same stuff every holiday. Some of my favorite Thanksgivings have been when we decided to head to the Gulf beaches of Florida and have a super laid back dinner with friends while looking out over the water. Talk about relaxing! Tim and I both agree we could do that every Thanksgiving and be happy. Even if we only had turkey sandwiches. I mean, let’s face it, we are going to have the same meal a month later at Christmas anyway. I prefer Christmas. This year we aren’t heading to the beach for Thanksgiving. But we are hosting both our families and a few friends for Thanksgiving at my Dad’s house. Since this is the first time we will have both families together for a holiday we are trying to make the menu and the day entertaining and out of the norm. These biscuits will be a nice addition to our dinner. There is also a Turducken currently in my freezer waiting to be roasted on Thanksgiving day. Yup. . the abomination of birds where a Turkey is stuffed with a duck that has been stuffed with a chicken. It’s our first Turducken. Tim and I are excited. . and maybe a little afraid. It’s like some sort of Frankenstein monster of the bird world! We have seen these awesome t-shirts online that have a silhouette of a Turducken on the front. How fun would it be to wear that on Thanksgiving?!! I for one think it would be SUPER awesome. 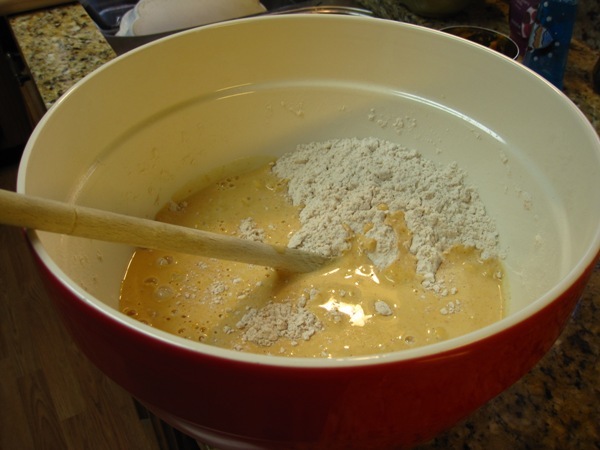 This dough will be very wet when you turn it out onto the counter so make sure it is really heavily floured. You’ll want to knead it a few times. Use a lot of flour. 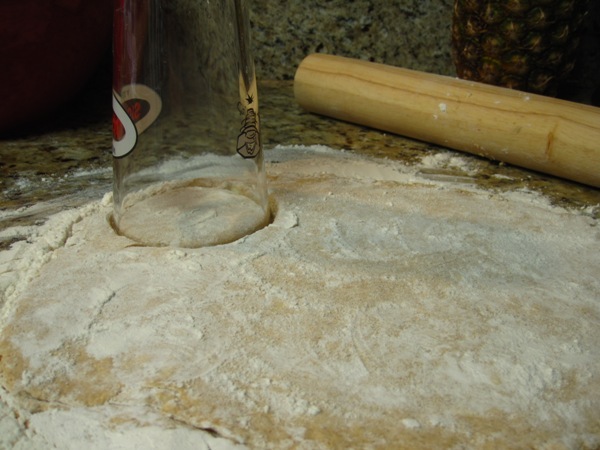 Make sure your rolling pin is generously floured, too. This will shock those of you who know me well. . . .but I don’t have a biscuit cutter. Not to worry, it doesn’t bother me to not own one. One less piece of clutter in the kitchen. I prefer to use a glass. Here you can see my handy dandy Lansing Lugnuts pint glass. It makes a good size biscuit, too. 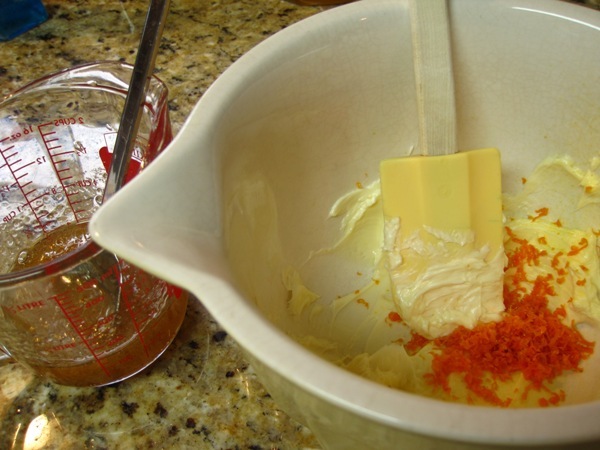 You can use a hand mixer to mix up this butter if you like but since my butter was very soft I just hand mixed it and then I scooped it into a pretty dish and chilled it in the fridge. It’s a happy day in our house when there is a half used can of pumpkin puree left over. 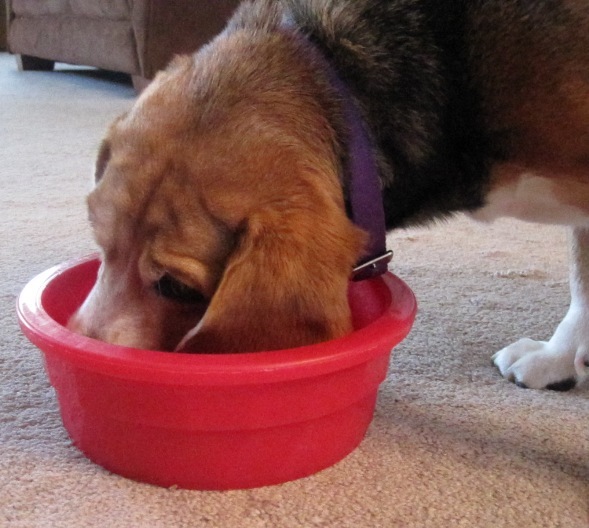 The dogs LOVE pumpkin and winter squash. 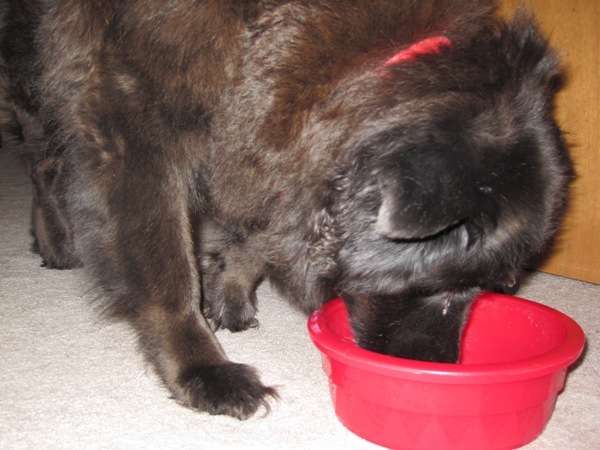 Here is Murfee enjoying her serving. And Abby enjoying her serving. Abby will eat pumpkin over most things if given the opportunity. Preheat oven to 450. Mix all the dry ingredients. Add the cubed butter and cut in. 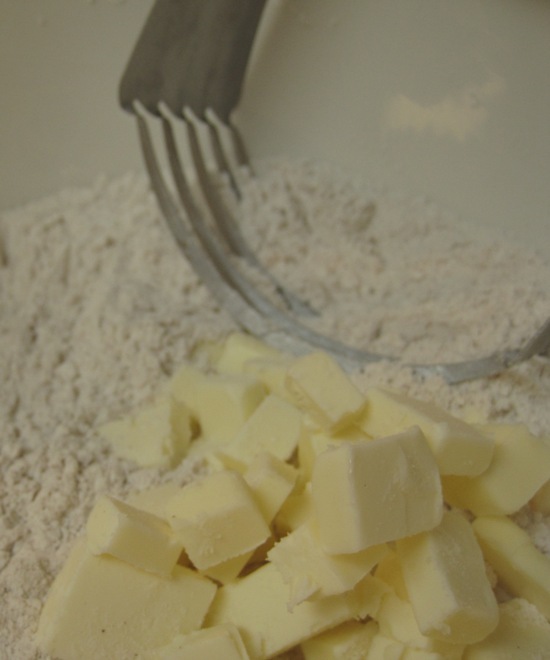 I have this handy dough cutter tool that chops the butter into the dry ingredients until the mixture looks like crumbly sand and that is how you want it. 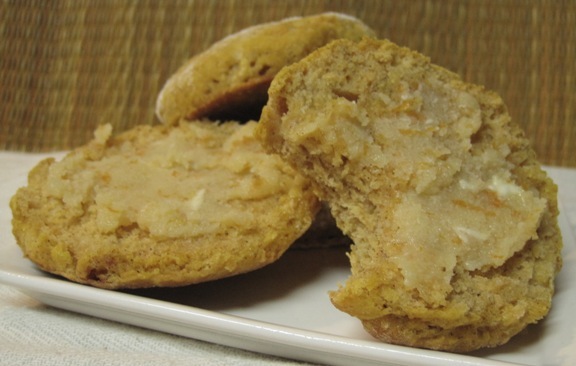 Mix buttermilk and pumpkin together and add to flour. Mix together until just combined. 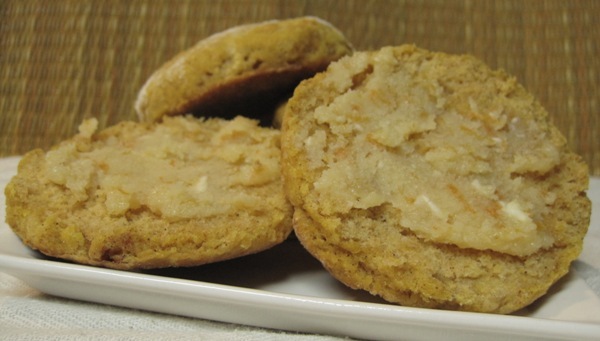 Don’t overwork the dough or you’ll get tough biscuits. The dough will look very wet and lumpy. 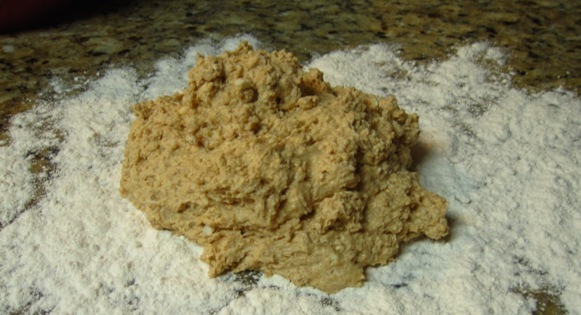 Turn the dough out onto a very generously floured surface. Knead several times adding flour as needed to make sure it doesn’t stick to you or the counter. Gently roll dough out to about a 1/2″ thick. Cut into circles. Should make about 12 biscuits. Place on a parchment lined baking sheet and bake 11 minutes. Serve with Orange Honey Butter. I use my microplane grater to grate the orange peel. Just the orange part not the bitter white part. (I could not live without my microplane!) And I usually use closer to 2 tsps of orange peel. Mix everything together very well until it looks uniform. Chill for a bit to firm up before serving. Thanks! They are yummy. I made 4 dozen! Umm. . .no to the biscuit cutter. Besides, since I mentioned it Tim probably already bought me 8 of them. lol! Nice blog!! Glad you decided to share it. 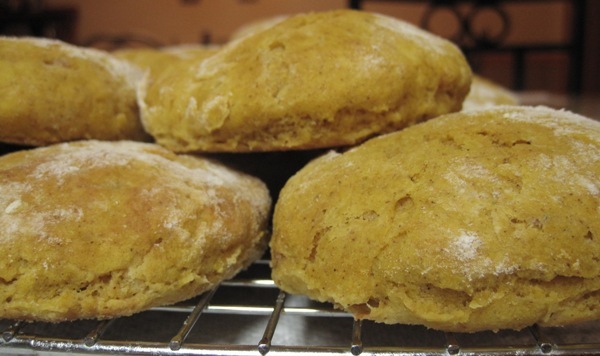 The pumkin biscuits were so good and very moist! Glad we could make it for Thanksgiving. Thanks! Glad you guys made it to Thanksgiving. It was a nice day. I know a secret about these biscuits!! 🙂 Lol! AWW! Look! Abs and Murf are enjoying some pumpkin!